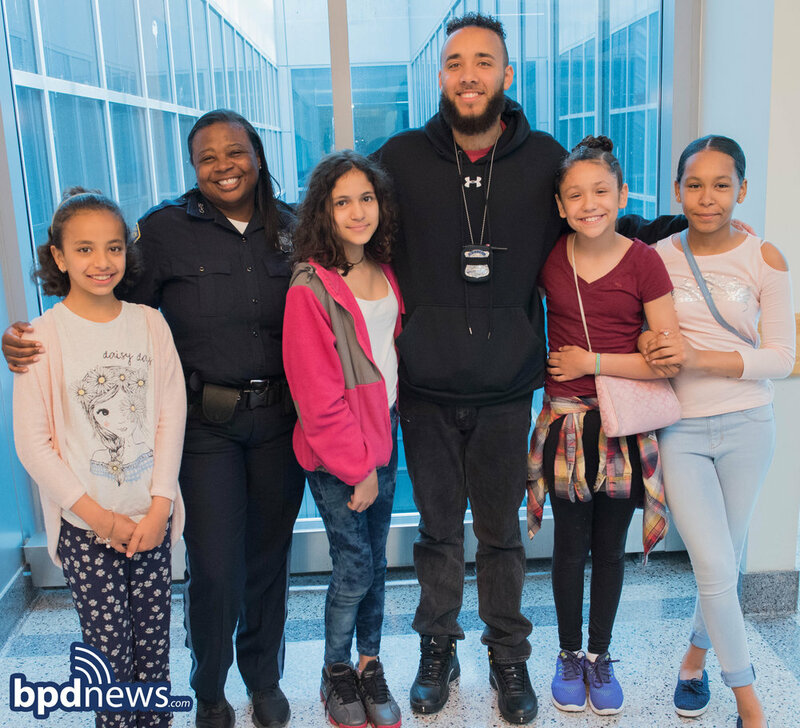 On Thursday, June 7, 2018, a group of 5th grade students from the Richard J. Murphy School, along with officers from the Boston School Police Unit, toured Boston Police Headquarters as a culminating field trip for their "Overcoming Violence" curriculum with the Suffolk County District Attorney’s office. 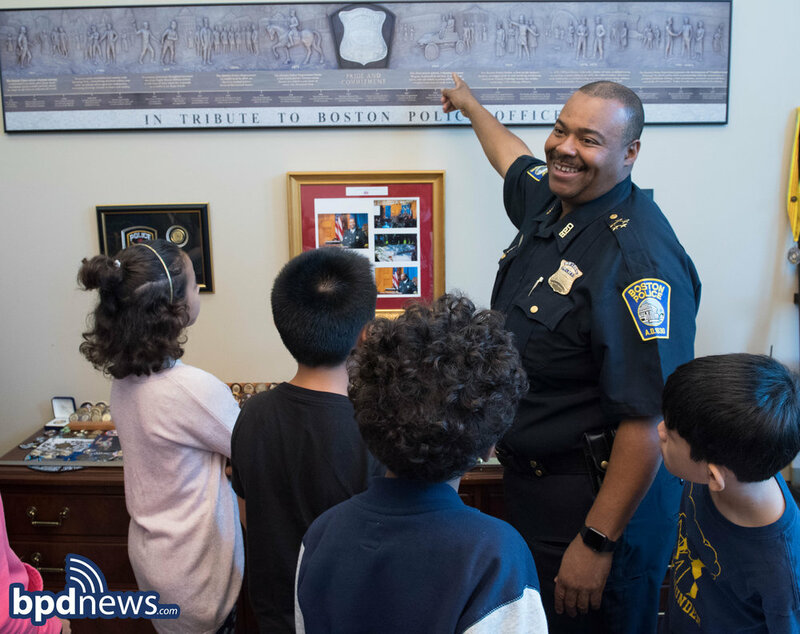 The students visited the Crime Scene Response Unit, Boston Regional Intelligence Unit, BPD 911 Operations, and Ballistics Unit. The students were very excited to meet Superintendent-in-Chief William Gross and were honored to pay a visit to his office as well. Everyone rounded out their day by heading down to the cafeteria to enjoy “Lunch with a Cop.” Our officers were happy to provide a fun and educational field trip for these students!